After an auto, truck or motorcycle accident, or an injury due to someone else’s negligence, you will have many questions and want to know your legal rights. You may have been the victim of a crime where there was negligent security by company, or you may have lost a loved one in a wrongful death. Do you have a personal injury question or issue? I, Maryann Furman, and my wonderful staff at The Nurse Lawyer, P.A., have answers and provide a free consultation to let you know whether or not you have a claim. If you have a claim to pursue compensation (money) from the negligent person or company that caused your injuries, The Nurse Lawyer, P.A. can help you. Don’t worry that you can’t afford an attorney. You don’t pay us anything unless we get money for you. We have convenient office locations in Tampa, and St. Augustine, Florida. But we are not just Pasco, Pinellas, Hillsborough and St. John’s county personal injury lawyers. We take cases throughout the state of Florida. There are approximately 77,000 lawyers currently practicing in the state of Florida, and of that huge number, only 7% of Florida’s attorneys are board certified. Only 1% of board certified attorneys are women. 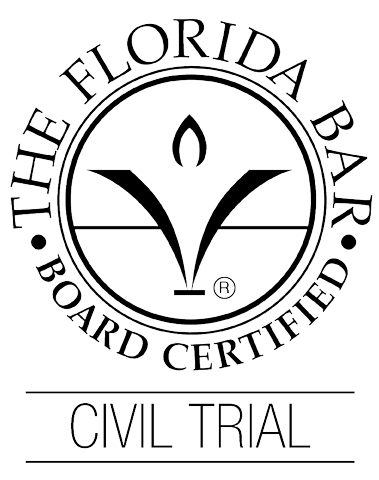 What is the Florida Bar’s lawyer certification program? Board certification is The Florida Bar’s way to justify a lawyer as having “Legal Expert” status. Certification is the highest level of evaluation by The Florida Bar of the competency and experience of attorneys in a particular area of law. Board certified lawyers have a minimum of five years in legal practice. Certified lawyers must show substantial involvement in the field of law for which certification is sought. Civil trial certified lawyers must have 50 hours of approved civil trial law certification continuing legal education in the 3 years immediately preceding their application. Certified lawyers must satisfy a peer review assessment of their competence in the specialty field plus character, ethics and professionalism in the practice of law. Civil trial certified lawyers must have handled at least 15 contested civil trials, including cases before juries as lead counsel and as trier of fact on some or all of the issues. Board certified lawyers must pass a written evaluation. At The Nurse Lawyer, P.A. we carefully evaluate and investigate each accident case to see what caused it, because often times there are multiple contributing factors to a crash and multiple avenues to recover you money. We investigate how your crash happened, which may include investigating the scene of the accident, talking to witnesses, hiring experts, and researching and applying applicable laws, statutes and safety regulations. Was the driver distracted by texting while driving, or driving while using a cellular phone? Was the driver under the influence or DUI at the time of the crash? Did any of the vehicles have defective car parts? Was there a problem with the air bag deployment? Was the car or truck properly maintained so that the brakes, steering, etc. were safe for roadway travel? Did the lighting conditions at that area contribute to the crash? Was the driver working for a company at the time of the crash? Did that company properly investigate before they hired that negligent driver? Was the driver properly trained and supervised if he/she is a professional driver? What are all of the possible avenues of insurance coverage that could possibly apply to cover the injuries? WHAT SHOULD YOU DO AFTER YOU’VE BEEN IN AN ACCIDENT? Seek medical help immediately if you feel you need it. 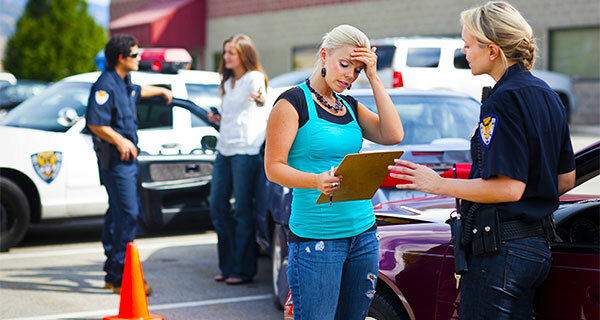 Notify the police of the accident and always make sure a report is prepared. Obtain as much information as possible about what caused the crash. Take pictures of the cars, trucks or motorcycles involved in the crash as well as the scene around you. Obtain the other driver’s name, address and insurance information. Obtain the contact information of any witnesses and ask them to make a statement to the police. 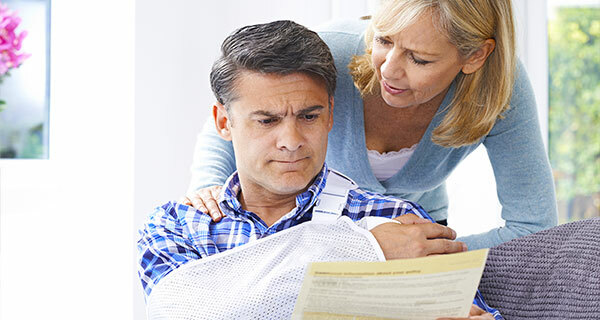 WHAT ARE YOU ENTITLED TO RECOVER AFTER YOU’VE BEEN INJURED IN AN ACCIDENT? You can recover money for your medical bills now and those to be expected in the future. You can recover money for your lost wages now, and those wages you won’t be able to make in the future. You can recover money for physical pain and suffering; mental pain and anguish; disfigurement; disability; inconvenience and the loss of the capacity to enjoy your life. With my nursing background and extensive medical knowledge I am fully prepared to handle the mildest cases of whiplash and muscle strain, all the way up to the most serious and catastrophic injuries including broken bones, surgery, traumatic brain injury, spinal cord damage, paralysis and even death. I will present your injuries better than most other attorneys who do not have the medical knowledge base that I have. Contact my offices in Palm Harbor, Tampa (By appointment only), and St. Augustine (By appointment only) via email or telephone at 727-807-6182 for more information. 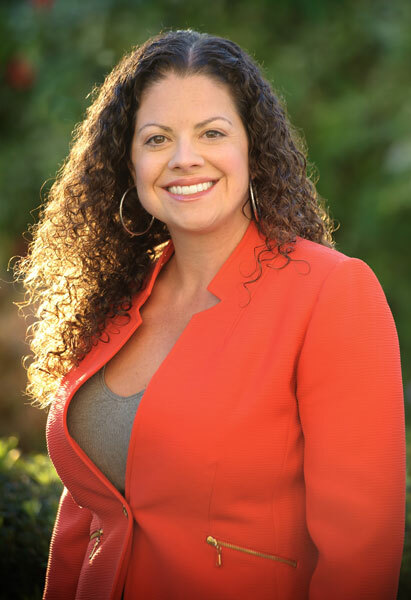 I represent clients throughout Florida.